Citation: Shahid, Shakeel; Markovic, Stefan; Linke, Dirk; van Rossum, Barth-Jan. "Assignment and secondary structure of the YadA membrane protein by solid-state MAS NMR." Sci. Rep. 2, 803-803 (2012). 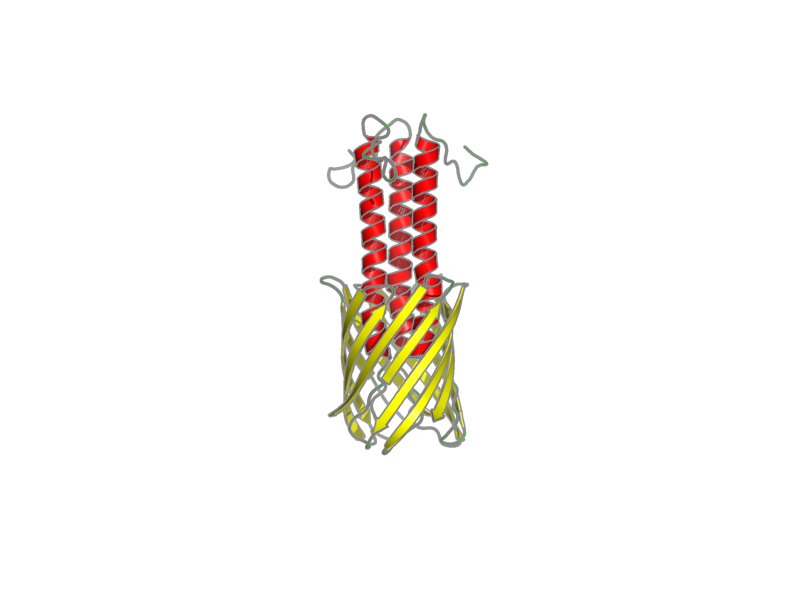 YadA_membrane_anchor_domain, polymer, 105 residues, 11200 Da. Entity 1, YadA_membrane_anchor_domain_1 105 residues - 11200 Da. Residues 1-15 belong non native strep tag which was introduced.